Shukhov Tower Foundation is pleased to announce the publication of a new book dedicated to V.G. Shukhov's creative activity. 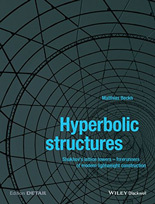 Hyperbolic structures analyses the interactions of form with the structural behaviour of hyperbolic lattice towers, and the effects of the various influencing factors were determined with the help of parametric studies and load capacity analyses. 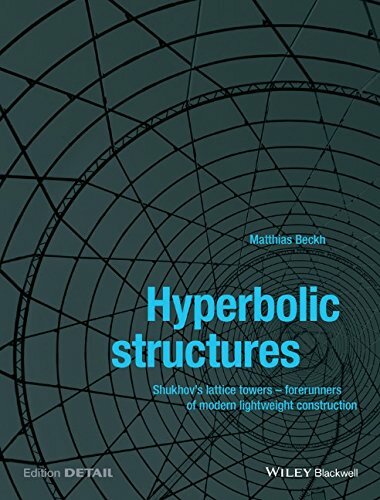 This evaluation of Shukhov s historical calculations and the reconstruction of the design and development process of his water towers shows why the Russian engineer is considered not only a pathfinder for lightweight structures but also a pioneer of parametrised design processes.